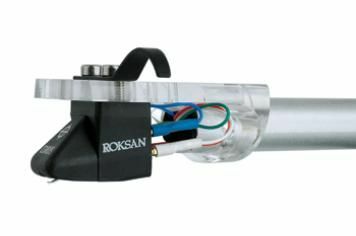 Roksan Corus Silver review | What Hi-Fi? We've long been fans of Roksan's enduring Corus Black cartridge. For the best part of two decades, this moving-magnet design has remained a great-sounding and reasonably priced proposition. So it's of little surprise to us that we instantly warm to the new Corus Silver – it looks a lot like the Black version. The only difference being that graphic on the front. Internal changes are subtle also, and amount to a revision of the stylus assembly, particularly the suspension system. The plan was to make the Corus Silver a better mechanical match for the company's entry-level tonearm, the unipivot Nima (as fitted to the Award-winning Radius 5.2 turntable). The results went well beyond that, surprising even Roksan, in a good way. The Corus Silver digs up a terrific amount of detail, and has a fuller tonal balance without losing any of the precision or tautness of the original. The Silver is also less fussy about partnering arms, and so will work better than the Black in a wider range of set-ups. It remains a doddle to fit thanks to its sensible shape, captive nuts and a reasonable tracking weight of 1.9g. Downsides? The price has gone up £75 over the Black. The new cartridge is undoubtedly superior, but at £400 it seems a bit pricey considering the quality of cheaper rivals such as the Goldring 2500 (£224). Unfortunately, that costs the Silver a star.